I just don't get the 99 cent pizza thing. Maybe it's my privilege, I get that, but it is not good pizza. Totally agree with Creature. This location also baffles me given the proximity of other pizza places. 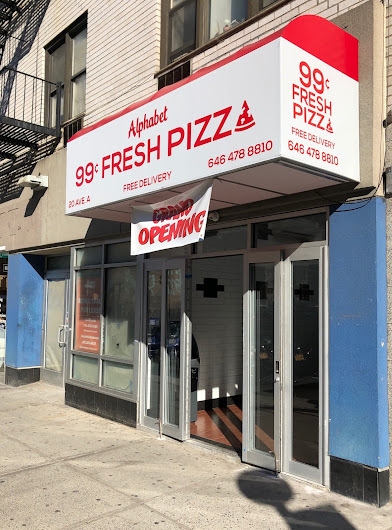 Drunk people get 99 cent slices of terrible pizza. This has to be the worst slice of cheap pizza I've ever eaten. Threw it out after a single bite. Even Elio's puts this to shame. What does that tell you? Just order a pizza box. It's got slightly more flavor and nutritional value.